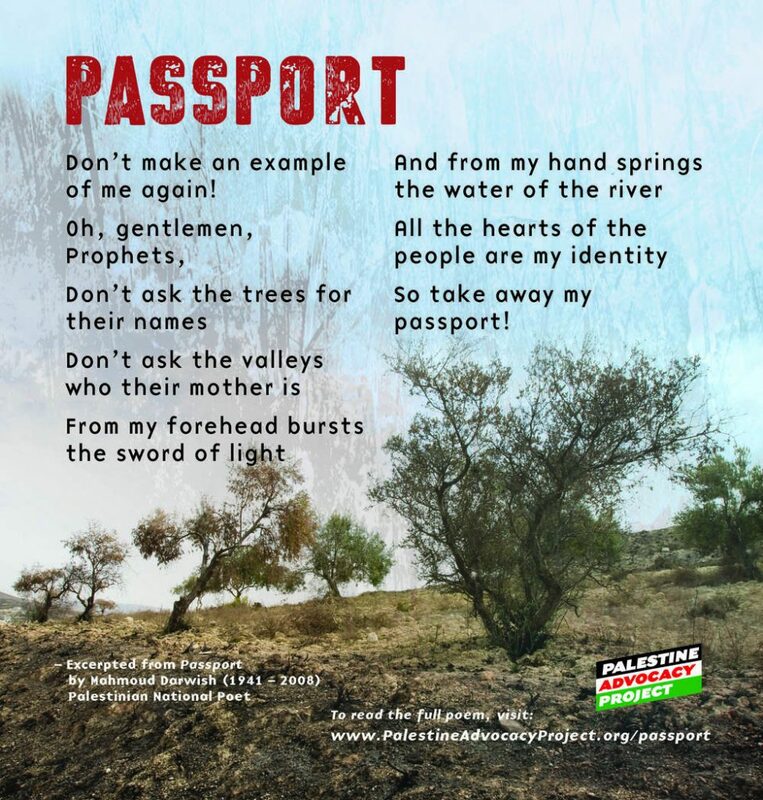 Palestinian National Poet (1941-2008) Mahmoud Darwish (1941-2008) was an award winning Palestinian author and poet. He is critically acclaimed and has been recognized as one of the greatest Arab poets of the modern age. The nature of Darwish’s work used literature, particularly poetry, as a means of political advocacy. 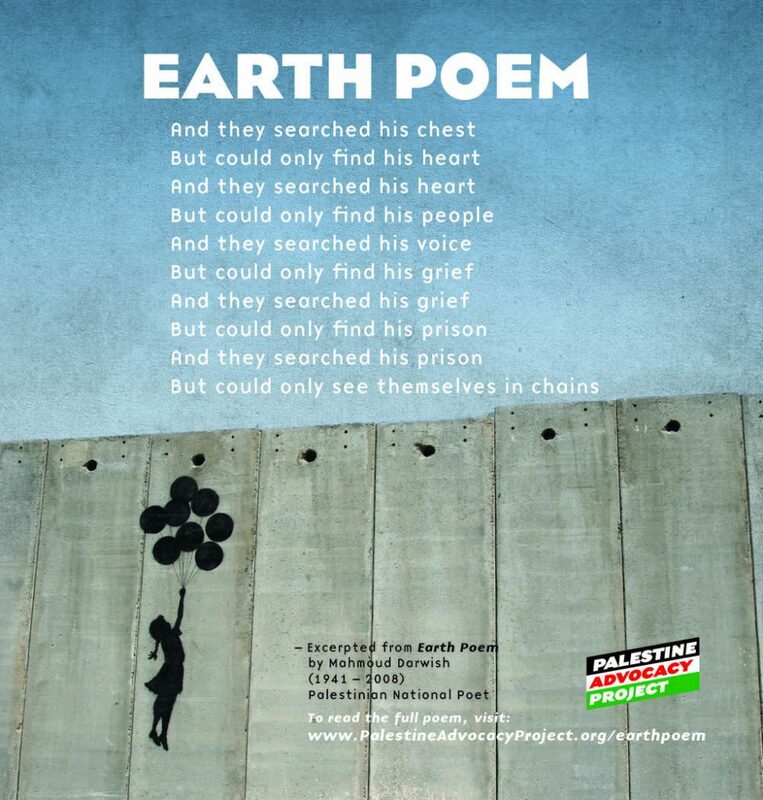 Highly respected and beloved by his people, Darwish was regarded as the voice of the Palestinians and, until today, is considered Palestine’s national poet. 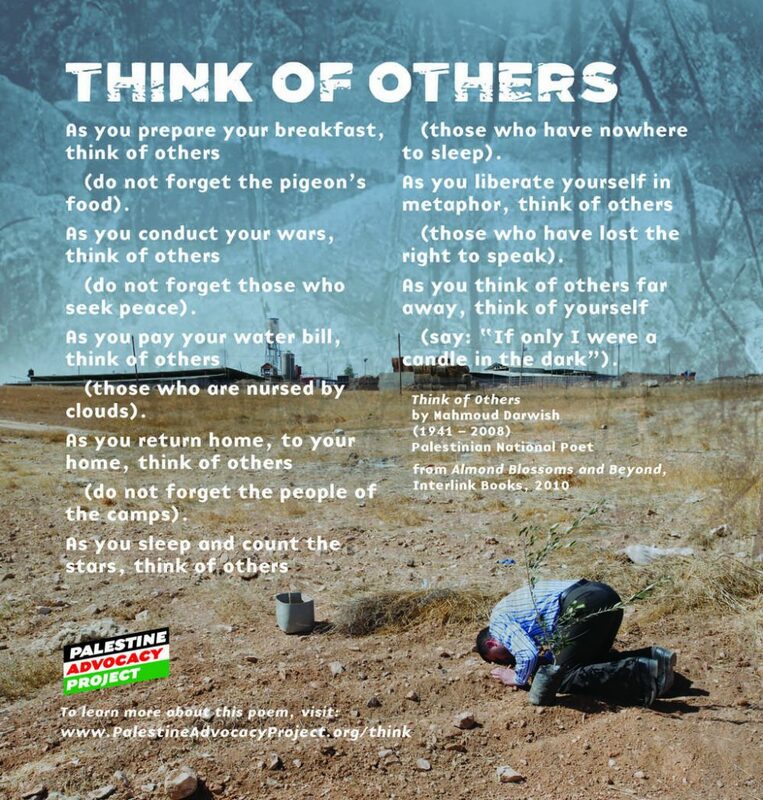 Palestine Advocacy Project brought excerpts from seven of Darwish’s most powerful poems to San Francisco in a series of posters on SFMTA buses and trains. 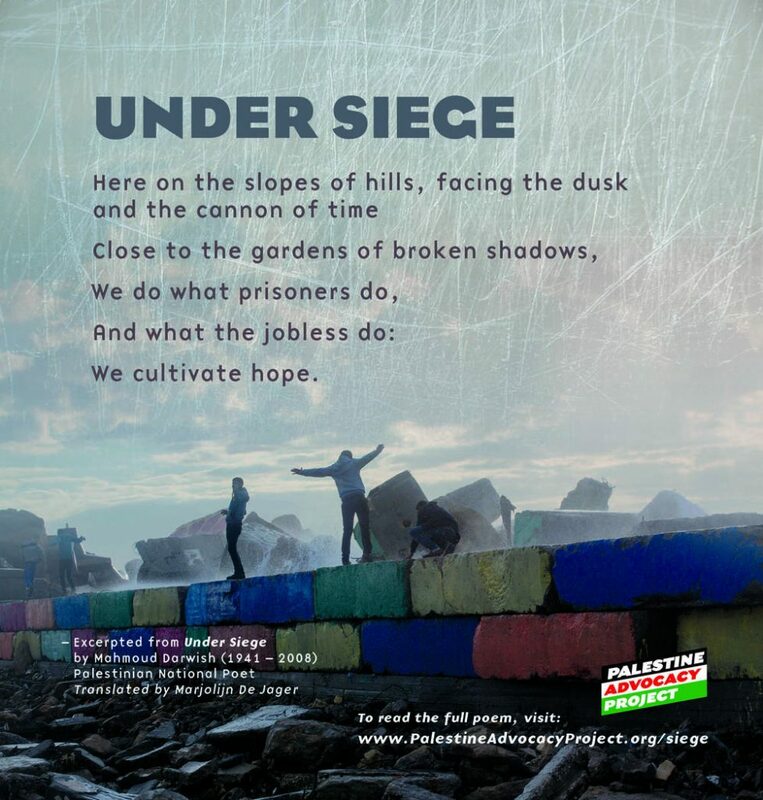 The selection of poetry includes the epic “Under Siege”, as a well as shorter, but no less powerful works such as “Earth Poem” and “A Lover From Palestine.” The artwork, full translations, and analyses are available below. 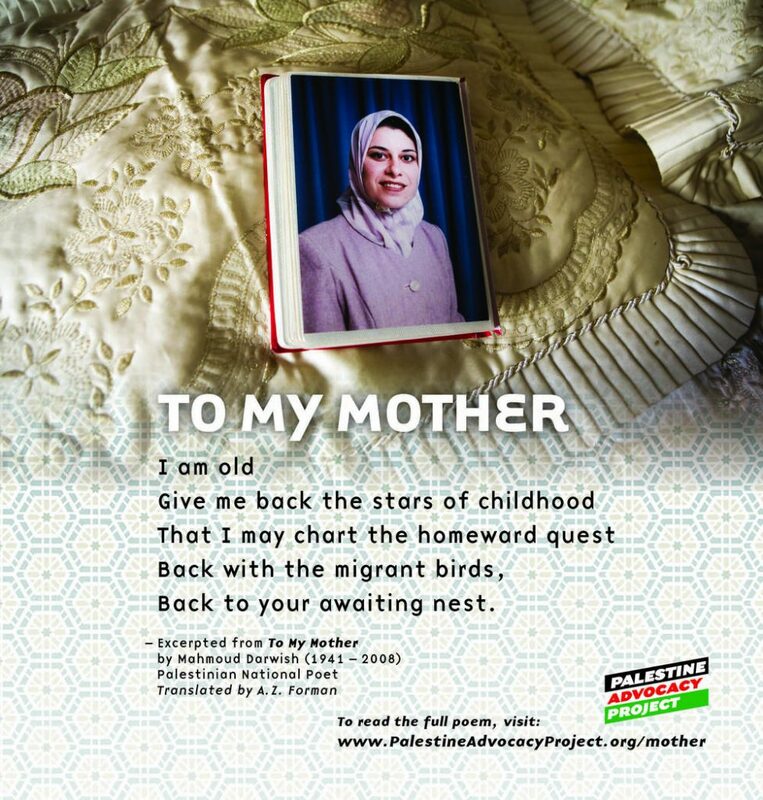 Those who have followed Palestine Advocacy Project’s work will notice that this campaign is different. This time, we are reaching out as advocates of Palestinian culture and of the rich identity that the Palestinian people are fighting to save. 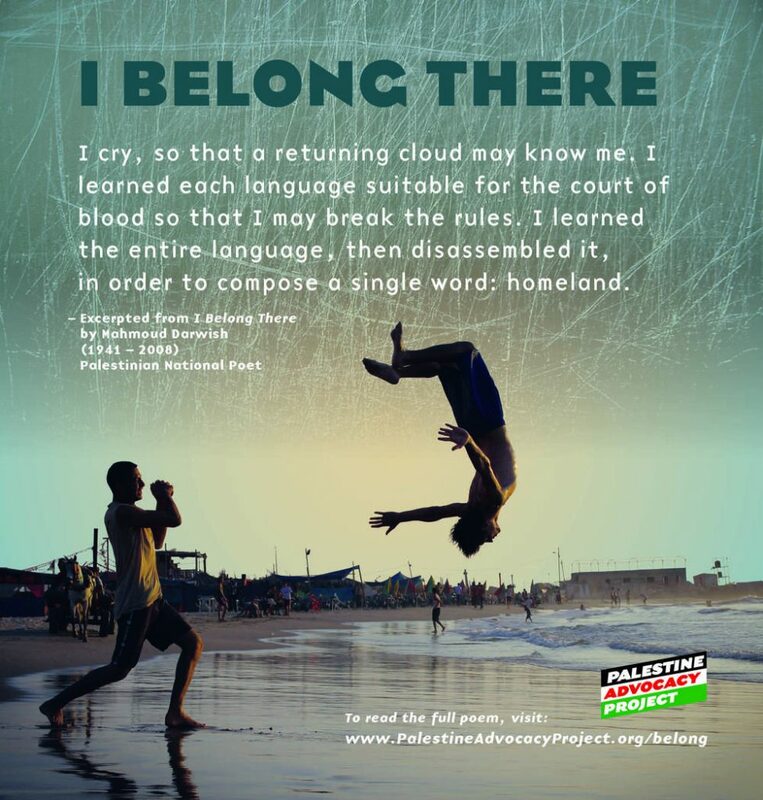 The cold harsh facts and figures of Israel’s occupation and apartheid – so prominent in our other media work – will continue to resonate on the world stage; but our mission with this campaign is to present Palestinians as more than players in a geopolitical struggle. 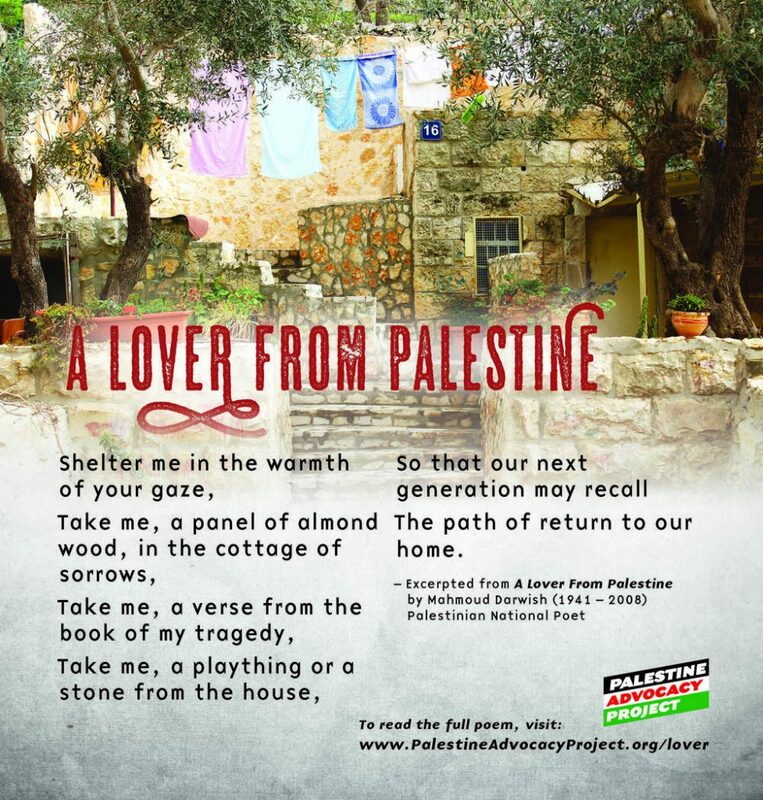 We feel that the human connection we share with Palestinians through their art and culture can be an important catalyst for challenging the dominant narratives that Americans are used to hearing about Palestine and Israel.